Summary: Zero is a follow-up to the book, One. Zero feels empty inside and has a hole right through the center. She feels left out because she wants to count like the other numbers but she feels like nothing. 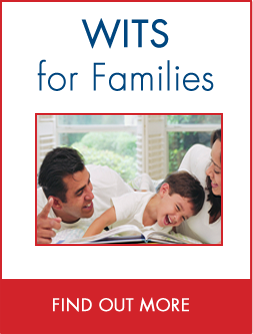 This book explores how to find value in yourself and others. What does the number zero mean? Zero usually means that the quantity or amount is nothing. Where do we usually see the number, zero? Price tags, money, rulers, thermometers, signs. If you were asked to choose a number as a name which number would you choose? Why? Explore the meaning of the metaphors “count” and “value” with the students. Talk about how they have more than one meaning in this story. Zero’s definition of count means not only to put numbers in order, but also to be of value or to be important. a. What does it mean to have value? To count?b. Do you have value? What is your value? Why does ZERO want to look like ONE? ZERO saw the “bold strokes and squared corners” of ONE and thought it was better than being big and round. What do you think it would feel to be like ONE? Why do you think Zero only saw an empty hole inside? When she compared herself to others she felt like nothing and empty. Why do EIGHT and NINE encourage her to look like them? Because they only know how to be EIGHT and NINE. Is this a helpful idea? Or not? No, because it causes ZERO to think that the answer is to be like someone else. ZERO leaps and makes a grand entrance to impress the numbers. 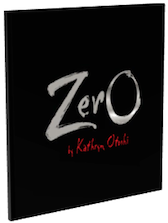 What do you think would have happened if ZERO was successful and she had impressed the numbers? ZERO would spend time and energy being someone else. SEVEN says, “Every number has a value,” “Be open you’ll find a way.” What does it mean to be open? To be open is to think about more than one possibility, to wait, to explore, to be willing to change. When ZERO has a new idea, ONE tells her to “Lead the way!” Why is it important that it is ONE who tells her this? ONE was the leader up until this point. 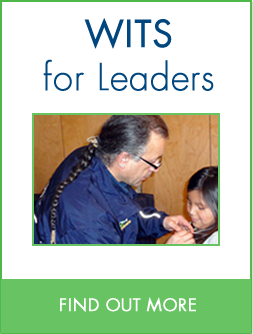 He understood the value of encouraging others to lead. He helped ZERO find value in who she is. What does ZERO mean, when she says “if we help each other SOAR, we can count MORE.” What does it mean to help someone SOAR? How can you help someone SOAR? Remind one another of their unique qualities, encourage one another. What does the phrase in the book, “bringing more value to everyone” mean? What are some ways we can bring value to the people here? Appreciate those things that make each of us unique. Do something that requires everyone to contribute and work together. Take a photo of each child in your class posing as if they are holding a bunch of balloons. 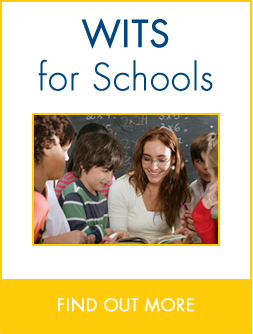 Print the photos and distribute them to students. Photocopy the balloon handout with various colours of paper. 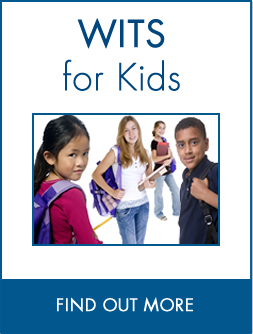 Distribute the balloon handout to your students and ask them to cut out the balloons then share their cut-out balloons with others so that each student has a variety of coloured cut-outs. On one side of the balloon cut-out students write ways in which they can help each other soar. On the opposite side of the balloon cut-out students write down how they feel when they help someone soar. 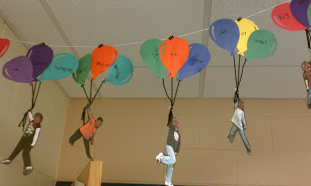 Attach the paper balloons to the student picture String the balloons to a suspended rope or wire across the classroom. Make a list of words from the book that have more than one meaning. (count, value, hole, stretch, grand entrance, open, soar) and discuss the multiple meanings for each word. Discuss other common metaphors that are familiar to students. Demonstrate construction of numbers using a Place Value mat and Base Ten blocks. Students will roll a dice to generate a number, then build that number in tens and ones on the place value mat. Then students will explore the value of zero in double digit numbers by adding the giant zero card to the place value mat and moving the ones and tens to a column to the left and exchanging blocks with the transfer. Students will compare their results after adding the zero by ordering their new numbers from smallest to largest.